There was much more involved in the decision than Infoblox’s position as market leader. “One place where Infoblox really shines,” says Moore, “is in its alignment with our principles of security.” He cites Infoblox’s substantial experience with Federal Government organizations and the attendant compliance with regulations and security standards as a key selling point. “Infoblox is part of the fabric of our ability to deliver” Moore concludes. “They’re a significant partner with aligned interests, they’re passionate about delivery of their services, and they’re interested in their customers’ success just as we are. They have the right mix of technology for DDI, and their continued focus on improving the product and expanding into other areas is of big interest to us. It’s not about what you can do now, but what you can do in the next two years, or five years. 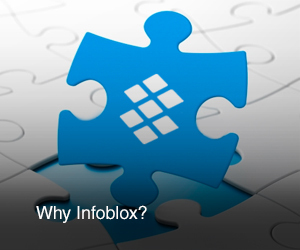 That’s why we keep investing in Infoblox.